Summer season is almost here! And for the next several months, warm temperatures equal bathing suits, shorts, skirt, dresses and sleeveless tops. If you have any new or old scars or stretch marks that you are ready to remove or reduce in appearance now is the time to treat and heal them. Scarology was created by two physicians - a husband and wife team - Dr. Michael Connor and Dr. Jeanmarie Connor after years of being asked by patients for a safe and effective at home scar treatment for both adults and children. They were surprised to find that after 1 year, no single scar cream examined made a significant difference in helping fade acne scars, facial scars, burn scars, keloids, wound scars, and stretch marks. With a combined twenty years of medical expertise specializing in plastic and reconstructive surgery they set out to develop a simple scar cream formula used in combination with self-adhesive silicone sheets along with a gentle exfoliator to help improve the appearance of scars. All of the patients who followed this regimen were satisfied with the final appearance of their scars. In 2014 Scarology was born. Since then, many people have greatly reduced the appearance of their scars and stretchmarks, all from the comfort of their own home utilizing the same 3 simple steps that helped many of their patients for years. 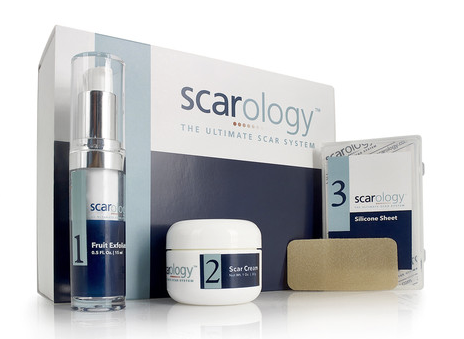 Scarology’s unique 3 part system targets different phases of scarring. The scar cream combines ingredients that have, until now, only been available in medical settings. These key ingredients have been shown to nourish the healing scar with hydration, boost the immune system, and reduce inflammation in the scar tissue*. Scarology’s 3-part system can be used on any skin type and on any scar once the skin has completely healed from the initial injury. Whether you have new scars, old scars or stretch marks, Scarology can help! 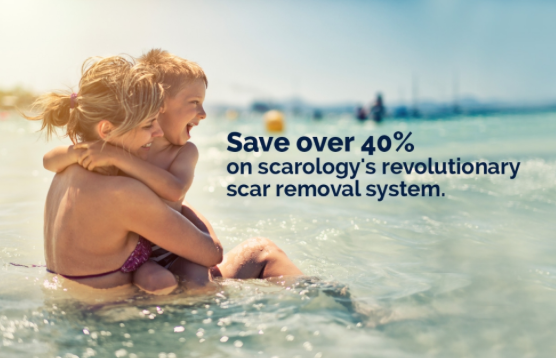 Order Scarlogy's scar removal system today and save over 40%! Clinically proven to remove old and new scars from trauma, surgical wounds and burns, this revolutionary system is effective for all types of skin and suitable for adults and children. Offer ends June 13th, 2016. The Scarology team is also offering all Hello Jack readers a free shipping on all orders. Simply enter "hjack" during checkout.